And it is especially good to be here in the week of International Women’s Day. I have really struggled to articulate just how angry I am at the inequalities, injustices, prejudice and discrimination women (and non-binary people) continue to face … in the 21st century. At this point, if I may, I’d like to get a little bit of audience participation going. Can I channel Frances McDormand and ask all the women and non-binary people, if you are able, to stand up with me. I just want to say a heartfelt thank you to you all for being part of this movement with me, for giving me the inspiration and energy to keep doing what I do, and for doing what you do every day. I really cannot be arsed waiting another 200 years for real gender equality … let’s smash the patriarchy together, sooner rather than later. And it’s great to share a platform with Neil. The last time we did was in Aberdeen, I think, a couple of years ago, and we were talking about the EU referendu. As a Remain campaigner, I set out the case that a leave vote would produce an increase – a rapid increase – in xenophobia and a move to the right in British politics. True enough, after the leave vote, we saw and upsurge in racism which probably would have been worse had it not been for the murder of Jo Cox just before the referendum – an absolutely horrific act. And, under Theresa May’s leadership, we saw the UK government lurch to the right in policy terms. Neil made the argument then that he may well reprise today: expertly highlighting all the flaws of the EU including at that time the destruction of Greece. And as we have seen more recently, the disgraceful treatment of Catalunya. He said we should vote leave because it would send a signal that the actions of the EU were immoral, and that it would cause a crisis in the British ruling class. Maybe this is me being a bit cheeky, but I think this event was a masterclass in how two opposed positions on the left can both be correct. What we have ended up with is, if you will, a thesis and antithesis forming at this conjecture, a synthesis. But, now on to the issue at hand, which is Brexit and Scottish Independence. I think part of the reasons at, whilst we disagreed with each other, we were both right, is that our analysis is based on many of the same principles – most importantly a materialist analysis of history and a commitment to internationalism. But where we of course differ is in our particular reading of the situation in which we find ourselves, and the approach which is therefore most appropriate to take. I want to be clear: I think the case for Scottish Independence is stronger than ever, not because of Brexit, but because of the things that caused Brexit. Brexit is, I believe, the culmination of three important, and completely intertwined, crises: a crisis of the British state, a crisis around the collapse of a political consensus, and a deep industrial crisis. So, to take each of these in turn. First and most important, a deep crisis of the British state. To understand how we got into a situation where Brexit was possible, we have to understand how intertwined the British state and the British establishment had become in a financialised global system in which the very specific role of the British state was to facilitate tax evasion and avoidance through the parallel structures of the City of London and the British Crown Dependencies and Offshore Territories which have become by-words for off-shored capital. These territories, Bermuda, the Isle of Mann, the Channel Islands, British Virgin Islands, Cayman Islands – is that them all? – have a vital role in the global capitalist system: it is where global elites can channel their money and secrete it off-shore beyond the reach of their governments. One estimate of the amount of money hoarded off shore is US$21-32trillion, and I’m not talking about Zimbabwe Dollars! After the global crash in 2008 the greed of the wealthy blocked important reforms. There was a failure to refloat the pre-2008 economic model. This left UK government with substantially lower tax revenues available from the City of London. With this decline in tax revenues the political consensus that had seemed impenetrable from 1989 to 2008 collapsed. You couldn’t argue that the economic model was “let the banks do what they like and spend the taxes on schools and hospitals” if there were no longer the tax revenues to enable this. So we have the collapse of big banks, the collapse of tax revenues from those big banks, and a consequent collapse of political consensus. Firstly the death of the New Labour dogma that finally resulted in Corbyn as the new leader of the Labour party, polarising British politics. Secondly, the rise of UKIP as the fascists in blazers that George Orwell warned us about. Thirdly, the concession by David Cameron to the right of his own party that there should be a referendum on Europe. This crisis entered a new phase during the Scottish referendum in 2014 when, for the first time, elites realised that the old politics was dying. It is very clear that the elites thought they had got away it in Scotland – that they would be able to continue with the status quo – and that fed their lackadaisical campaign in the Brexit referendum. The official remain campaign which was based on threats that no one believed (like an emergency budget with more austerity) and an economic case which failed to resonate with many again highlighted how out of touch elites had become.The leave vote itself further deepened the political crisis: David Cameron choosing to resign, Theresa May being elected in a farcical leadership campaign most remarkable for the withdrawals of Boris Johnson and Andrea Leadsome. May is, or perhaps was, the most overrated politician in recent history – a Daily Mail fantasy in red, white and blue. Her immediate turn was part of a broader turn against neoliberalism and towards an authoritarian form of patrician capitalism based on the notion that working class people were stupid enough to be distracted by calls to patriotism (being a bloody difficult woman, strong Brexit in the national interest) and gesture politics like having workers on boards of companies. Having promised seven times that she would not call an early General Election, she torpedoed her own reputation, she called an early General Election. And, much to my delight, it turned out that the electorate felt pretty much the same way about the politics of the Daily Mail as I’m sure all of us here today do. In failing to get a majority in an election she was expected to win with a majority of well over 100 seats, she proved both that the working class are not as stupid as she thought they were, and, very importantly, that people do not care that much about Brexit. The third crisis leading to Brexit was the industrial crisis: the utter failure – or, more correctly, the complete destruction – of British heavy industry from the 1970s onwards, and accelerated by the 1986 big bang reforms to the City of London that drove the financialised economy and pushed out extractive and manufacturing industry. This was compounded by the failure to replace jobs in these industries with jobs of equivalent pay or esteem. This left a significant element of the electorate disaffected with the status quo and willing to take a chance on anything else. When set alongside the deep affinity from many in the English shires for the Imperial Britain of the past (and it is worthwhile noting that most Brexit voters were wealthy) this produced a majority for Brexit. Having set out an analysis of the situation that led to Brexit, I want to move on and talk about how Brexit and Independence interact. A small caveat here: the temptation to make an argument for elite Independence based on the continuity of European institutions is one we must avoid: our argument for Independence must not rely on arguments around Brexit. Independence is the right thing to do because independence is the right thing to do, not because of Brexit. But it is very important that we defend, with all our strength, devolution, from any Brexit power grab. Let me be clear, though. I think Brexit is a terrifying prospect. Let’s think about what a hard Brexit, which the Tories seem hell bent on achieving, means. It is very clear that the aim of the Brexiteers in the Tory Party and their allies in the hard right media is to use this opportunity for a dose of the shock doctrine. There is a scenario where the Brexit deal negotiated by the UK with the EU is voted down in Parliament but the UK still leaves the EU. Britain moves to WTO rules, tariffs are immediately applied, and we are talking about this happening in 54 weeks time. Immediately food becomes more expensive, manufacturing becomes much more difficult as the just-in-time supply chains are disrupted by customs checks, and British services, which of course make up the bulk of exports struggle for access to foreign markets. There is an immediate economic crisis, and in this economic crisis the right of the Tory Party are able to do what they have wanted to do for 40 years: unwind every gain by workers since the industrial revolution. Health and safety protection for workers – gone. What remains of the welfare state – gone. Education privatised and charged for. Health privatised and charged for. Dissent managed through increasing surveillance and an authoritarian turn in the justice system to curtail all protest. Remember we will lose our human rights after Brexit, the Conservatives would like to withdraw from the European Convention on Human Rights. All in order to protect Britain’s role as the global capital for tax evasion and avoidance. We’ve seen the shock doctrine before – in Chile after the overthrow of the Allende government, and later in countries across the world, including Russia. For the right wing Brexiteers, this is what it has all been about. And this is the Brexit we MUST avoid. And independence offers us a way out of this, and I believe we have a duty to the people whose lives would be ruined by a hard Brexit. And by creating a crisis in the British state, we offer a way forward for those in the rest of the UK. Because this is a crisis of the British state, and because the Green case for Independence has always rested on sound principles of decentralisation, subsidiarity and local decision making, we can still see Independence as the antidote to the crisis of the British state. We see the concessions that even a principled and committed socialist like Jeremy Corbyn has had to make (on issues like Trident and immigration), and we understand that these concessions are the beginning of the process of co-option. First, an opportunity to build a state in Scotland that is not enthralled to an Imperial past, to outdated institutions like the monarchy, and that can deliver on our aspirations for a new economy based on social and environmental justice. It also creates a deeper crisis in the British state that may find its resolution in a democratisation and reorientation of that state. Second, an opportunity to make the case for this approach in the international forums that are fundamental to decisions about these things. We can build the case internationally against austerity, for self determination and for human rights. We need to have a very serious debate about what an independent Scotland does about membership of the European Union or other institutions. I don’t believe an independent scotland would take the disaster capitalism approach that Boris Johnson and Jacob Rees-Mogg are pushing. We know that 62% of Scots voted to Remain, but we need to have a real discussion about how it is we can best express our belief in an internationalist Scotland that acts for social justice across the world. I see the merit of Scotland having a seat at the EU table, making the case for Greece, for Catalunya, for a workers’ Europe, not a bosses Europe. But I can understand that there are others who may wish to be in the EEA, or out of the European institutions altogether. But that’s a debate for another day. For now, we know that our job has to be to deepen the crisis in the British state and protect people from the brutality of a hard Brexit. For now, let us be clear that we need to work together to restate the case, to recreate a vision, of a new, better, Scotland. The Scottish state that I want to see is based on internationalism, on welcoming those who come to make their lives here, and on meeting our commitments to the global commons. Those aspirations cannot be met in Brexit Britain, and they require an approach to international cooperation that works with others not against them. I look forward to joining you all in the struggle to come. Good afternoon everyone, and thank you so much for inviting me to give the closing speech this afternoon. It’s a huge honour to be here, and I’m very pleased to have had the opportunity to be involved in such an engaging and interesting weekend – well done to all of you for organising and participating in such a great weekend. It’s a real privilege to be invited to speak on a platform with such a variety of top class speakers. I’m only sorry I was not able to attend more sessions … some of you will be aware of some shenanigans happening on campus over the last few days – I’m afraid the struggle for democracy has taken up rather more time that I would have liked. I am Maggie Chapman, and I am co-convener of the Scottish Greens, and Rector of this university. 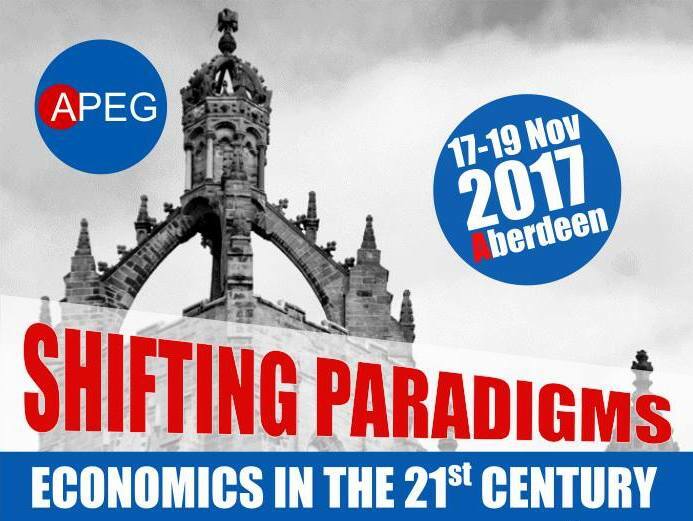 You have heard, over the last couple of days, some really interesting and challenging ideas about the consequences of the dominant neoliberal or capitalist economic paradigm. Alongside these, you’ve been encouraged to think about how we go about constructing liberating alternatives that do not repeat the discrimination, alienation, individualisation, disciplinarisation or, to put it bluntly, the abject failures of the normative systems in which we currently function. So I will begin with one of my favourite quotes, this from Gramsci: The old world is dying, and the new world struggles to be born: now is the time of monsters. Now none of us have to look very far to see monsters: Brexit, Trump, Grace Mugabe, austerity, cuts to social security, tuition fees, the Better Together campaign against Scottish independence, and so on. These monsters are all around us, consuming our resources, our energies, our hope. So we have a battle on our hands. For the last 40 or 50 years or so, people have been fighting this battle, but in many ways, they’ve been fighting this battle on very restrictive and uncomfortable territory, that of neoliberalism. Because, as Thatcher famously said: “There is no alternative!”. But neoliberalism, by design, forecloses possibilities. And, importantly, it forecloses political possibilities. The monsters we see emerging from the death throes of the old world are all determined to put politics back in its box; to squash the ideals and hopes of those mobilised by the exciting energies of the Radical Independence Movement in Scotland, or the Sanders campaign in the US, or the Corbyn (and perhaps the Richard Leonard) phenomenon in the UK. So, this battle we have on our hands is profoundly political – it is about power and democracy. And so, for me, I think we have to talk about our politics, our democratic systems, our power structures, and how they relate (or don’t) to our economies. I think re-thinking democracy is the unprecedented challenge of our age. We still use the democratic systems from the 19th Century. Yes, there’s been some tinkering around the edges: women sometimes get to participate in them, for example. But they are still pretty much what they were 100 years ago. At the same time, we have a population more educated, and more used to making decisions than ever before in history. The almost inevitable consequence of this is a deep seated frustration with a political process that is often profoundly exclusive for people who are used to being included. So, need to look at ways in which we can democratise the structures that govern people’s lives – how we get people to be more involved in governing workplaces, having more information about what government is doing, having more control over resource provision, and so on. 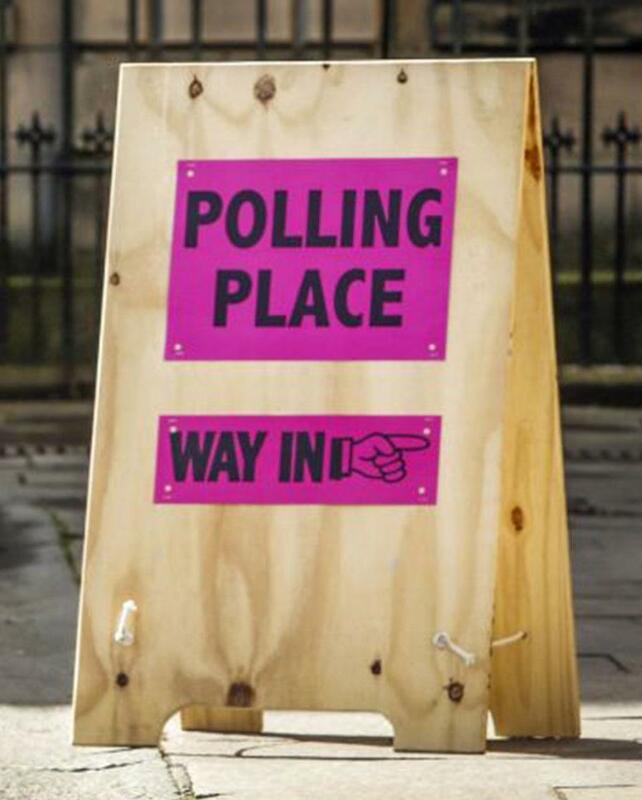 Fundamentally, we need to think about democracy differently, and give people lots of opportunities to do democracy, and to do democracy differently: it cannot just be about going to a polling station on a Thursday in May to put an X or a number in a box. And so we need to ensure that our education systems include proper teaching about democracy: anyone who understood how democracy worked would understand Brexit as a bad idea, unless you want to smash the state … but that’s a different talk! But I’m not just talking about constitutional democracy, and certainly not just about representative democracy. We need to rethink ownership. In an economy where intangibles are evermore, ownership models that are more inclusive become even more important. I suppose, at the heart of this, I’m talking about democratising our economies. Neoliberal economics works against democracy: it is about concentrating power and control in the hands of elites: global corporations, financiers, bankers and so on. Between 1945 and the 1970s, the economy was a truce between the forces of capital and the forces of labour. The power of labour, expressed through self organisation and trade unions was supplemented by the state’s tolerance of nationalisation. So, whilst there was great inequality, society was not anywhere near as unequal as it is now. That truce, though, was destroyed between the late 1970s and 1990s: the agreed settlement was lost. The state started selling off assets, trade unions were squashed, and capital ran wild. We got to a point where capital had over-reached, driving down the share of value going to Labour, and benefiting executive pay, dividends and shareholder profits … Instead of sharing the fruits of growth, capital (shareholders and executives) hogged it all. Interestingly, too, characteristic of this period was the rise of ‘the executive’ – proportionately executive pay even outstripped growth in dividends to shareholders. And the effect of driving down demand (as wages for the masses decreased and more money was off shored in tax havens) was economic stagnation. This was compensated for by increasing credit: mortgages. Credit became much easier, loans became much easier, eg car loans too. These stimulus tools – focussing on driving demand back up, create huge credit bubbles … and we all know where this led us – the financial crash 10 years ago. So, the structure of the economy we have had for the last 30-40 years is not one given to democracy – it’s one given to bailing out the banks. And that means we can’t just tinker around the edges of it … We need a structural revolution in our thinking. When we see popular revolts like Brexit (the first time the population had the chance to hit the city of London), we begin to see that a lack of democracy in the economy is compensated for by radical countermovements by the people. And those countermovements don’t always lead us in the right direction. So, the need for a new way of thinking is increasingly urgent. We currently have a situation where much of the economy is made up of low skill, low productivity and low value work, in sectors like retail. And this is something we have to take seriously, because these are exactly the sectors that are most likely to see high levels of automation, and therefore job destruction (just look at supermarkets and check-out machines). But I welcome this: let’s get rid of the crappy jobs that don’t provide a great deal of satisfaction, nevermind being often unpleasant and precarious. I know there have been a couple of sessions on automation this weekend, and I’m sure you’ve discussed the huge risks associated with this. But I think, if we work on democratising the processes that lead to automation, and also democratise control of the technology that we are developing, we open up huge potential for changing the way humans interact with the economy, and for unlocking the liberating potential of technological advancement: no one wants to go back to washing everything by hand – similarly shouldn’t expect people to earn a living by sitting at a check out. We must ensure that we use automation to create job opportunities in the ‘3 C sectors’ – caring, creating, and collective decision-making. These jobs are always going to be more fulfilling – for example, whilst we have no typesetters anymore, that role has been replaced by graphic designers, a more creative and more fulfilling job. And it is not about machines taking over the world: to give you an example – how many of you are chess players? Well, various research on chess shows that a chess computer will beat the chess grand-master every time, but the grandmaster working with a chess computer beats the computer on its own. So, as employment moves to the areas which have to be filled by humans, such as caring and the creative industries, so democracy becomes much more important. Indeed, we are already seeing that the most effective models of business are adopting more horizontal, and by necessity more democratic, organising models. The IT industry has perhaps led the way on this. Now there is lots that is wrong with Silicon Valley and how it operates, but their ‘Agile’ approach to business is more empowering for their workers, and more productive in terms of creative output, and more flexible which is good for creating more cohesive communities. And, speaking of technology, there are potentially exciting opportunities for not only emancipating labour but also supporting the democratic participation more broadly in communities, in neighbourhoods, and elsewhere. Scotland is home to Europe’s largest computer – ARCHER, son of HECTOR, is based in Midlothian. The potential to use the ever increasing data that is gathered on all of us all of the time for good is definitely something we must be involved in. There huge opportunities to use the increasing data analytical powers to improve people’s health and wellbeing: for example by having much more understanding of things like the human genome, or of behavioural patterns that could lead to better health outcomes. What we have to ensure, however, is that the control, ownership and governance of these developments are not limited to the political or economic elites. And that means ensuring our people have the skills and knowledge to have a decent debate as a society about this. That is another challenge to our education system: in the same way that there needs to be much more discussion about democracy, so there needs to be much more teaching about technology. There are exciting developments in other sectors that we are already familiar with – housing co-operatives, workers’ co-operatives, and so on. And also in areas that perhaps we would not think of as particularly open to democratisation or participation: the Netherlands is experimenting with care co-operatives, or Buurtzorg. So, people – workers – are already beginning to design more participative ways of doing things. These things may not be transformative in and of themselves, but collectively, they begin to presage the future of a much more democratic labour environment. These initiatives are not without challenge – we only need to look at how resistant to democracy higher education institutions are – places that really should know better – but that they are flourishing at all gives me hope. We also need to look at the ways in which we can try to create social control of investment. I believe we should give workers a right to vote for a buy out of their workplaces. I also believe we should back those buy outs with socially controlled sources of investment. As I was writing this speech I had a wonderful worked example for you. That of the BiFab workers – whose profitable business was scheduled for closure by its owners. It is in the renewable sector – exactly where we need jobs and investment – I’ll say a bit more about this in a minute. At BiFab, the workers should have been able to hold a ballot. A ballot they would have won. Then a Scottish National Investment Bank would supply the capital for a buy out. The business could then be run as a cooperative. What has happened instead is that the Scottish Government has stepped in. I am very glad that they have, but the cooperative option would have been so much more transformative! There is still the opportunity for a key role of a Scottish National Investment Bank here though, and I think this example is worth keeping an eye on. And of course, a National Investment Bank is not the only source of such investment: we need to be supporting credit unions, public banks, social enterprises, and so on. One area that perhaps offers us, more specifically in Scotland than elsewhere in the UK possibly, is to re-think one of the fundamental aspects of our economy: energy – generation, provision, use, and so on. And, being a Green, it is perhaps no surprise that I’m going to talk about this. The energy sector provides a profound example of the problems with a non-democratised sector, and the very clear necessity for democratic intervention. Scotland should be a world leader in energy, and energy that does not contribute to climate catastrophe. (As a side note, I think talking about climate change is not good enough – the climate always changes … it is the threat climate catastrophe that we need to be taking much, much more seriously). So, energy in Scotland: we have the potential to transform our system from fossil fuels, which are a resource, to renewables, which are a technology. There is an important and profound difference between these two: because the more you use ff the more you deplete stock, so the more the price rises, whereas the more you deploy renewables, the better the tech gets and the lower the costs go. And because the fuel is essentially free, you don’t offset the increases in efficiency and economies of scale with rises in fuel costs: the more wind turbines we put up, we don’t (contrary to conspiracy theorists) we don’t reduce the amount of wind. It is clear that the 21st century will see energy costing much less … if we get the politics of it right. We cannot rely on neoliberalism to pass on these reductions in cost to us – as Victoria was talking about earlier. We know, to the very real cost of so many in Aberdeen, that the UK govt is not looking to the future in terms of energy generation: it is so hostile to renewables that it refuses to support any initiatives that support the just transition of the North East’s economy away from oil and gas – cuts to support for on-shore wind and solar generation are just part of the picture. More seriously, I think, is that most of the current renewable sector is privately owned. We need to see substantial moves into community/public ownership of energy, making this mainstream rather than peripheral. And so we see very clearly, in energy, the need to democratise our industries, and allow for by properly supporting it, the transformation of the associated workforce to secure high skilled, well paid and secure jobs. Building democracy into the workplace can help to address two of the key problems we have in society. A lack of control for citizens over their lives, and the need to have long-term investment. This can happen in a number of ways, as I’ve discussed: cooperatives, thinking beyond nationalisation in unions (e.g. RMT want railways to be owned ⅓ by workers, ⅓ by passengers, ⅓ by the state), and more horizontal workplaces – agile as a way of working. “Unhappy events abroad have retaught us two simple truths about the liberty of a democratic people. The first truth is that the liberty of a democracy is not safe if the people tolerate the growth of private power to a point where it becomes stronger than their democratic State itself. That, in its essence, is fascism – ownership of government by an individual, by a group or by any other controlling private power. We appear to have come full circle on this. There has been a fantastic range of critiques of the state we’re in. What we need is a discussion of what is to be done. One of the tricks the neoliberals have used is that of foreclosing discussion of the economy, and of the future more broadly. It is our task to blow that discussion open. When I spoke at the first Radical Independence Convention in 2013, we had to fight to get economics on the agenda. By the end of that campaign serious economic issues were at the heart of the debate. How childcare can redress the issue of gender economics. How a Scottish currency can allow us to reindustrialise Scotland. How community, social and public ownership can be more effective than privatisation. The Scottish Referendum campaign was the first real opportunity we had to shift the discussion. It’s continued with Sanders, and the massive reverse the Tories suffered in the June election. If the new world is struggling to be born, it is our job to be the midwife. There are monsters, but we can overcome them. And in overcoming them, we shift the battleground on which we are fighting: we make it about people, we make it about communities, we make it about all of us. That gives me hope. And hope is what we need to win. Getting on with the day job – democracy and social change? We chose the title for this AGM discussion as a provocation: “get on with the day job” has been the rhetorical battering ram used by Ruth Davidson (and others) to hit the SNP for talking about independence. Her intent is quite clear: she wants the threat of the break up of the British Imperial State removed so that the exploitation of Scotland’s natural and human resources can continue unabated, Scotland’s people can continue to be subjected to the brutal discipline of austerity and the removal of social security. But, the way in which she puts the proposition, by necessity, is depoliticising. She is happy to talk about how the Scottish Government has problems in education, but her solutions remain unspoken. And of course, the record of her own party in England, investing in vanity projects like free schools, rather than any real attempts to transform the prospects of school students, suggests she has nothing to contribute in this area. She is quick to criticise in broad terms but does not present solutions. Rather, she is appealing to a constituency who are clearly threatened by the energetic and exciting politics ushered in by the referendum. The brilliance of the Ruth Davidson approach is that it draws on one of the core tactics of neoliberalism: it forecloses political possibility. As Thatcher famously said, “There is no alternative!”. The aim is very definitely to put politics back in its box. For Conservatives, and for those terrified by this prospect, putting politics back into its box is vital and we need to recognise that those people who voted Tory were strongly guided by this motivation. What arose in the 2014 referendum in Scotland was a belief that it didn’t have to be like this: that another Scotland was, indeed possible. And all of us here today are determined to see this a reality. But we have perhaps lost a bit of the momentum since 2014. And we’ve not always been helped by the Scottish Government. The Scottish National Party’s instinct is to conform to the dominant politics of the day, so our job is to create the dominant politics that we want. We can see them on either side of this: before July, they wanted to cut Air Passenger Duty and hurt puppies – remember the tail docking vote – these are the kinds of things that Tories love doing, perhaps especially if they are Dalmatians. However, since the summer, and us choosing to do an event with this title, the SNP have made a clear jump to the left, as we can see with the programme of government – even if some of this is still only at the level of consultation. It includes a Scottish Investment Bank which is a long-term green policy, nationalising Scotrail, creating a State-owned energy company and a wide range of other proposals that Greens and others in the radical Yes movement have been calling for. This is a good thing, and is clearly a political response to the depoliticising intent of ‘getting on with the day job’. And I think we can identify three agents that have enabled, and perhaps catalyse this shift; three agents that have functioned together and separately to create a dynamic that has moved Scottish politics into a much more positive space than it was in before the summer. Firstly, we have Political parties, perhaps especially the Greens – the existence of Greens as a parliamentary force has been essential in pulling both Labour and the SNP to the left. The election of Caroline Lucas in 2010 brought a fresh perspective to radical politics where the left in the Labour party had been associated with older figures like Tony Benn. The experience of Labour activists and candidates in England being outflanked on the left consistently by Greens played a very significant role in popularising the sort of politics articulated by Jeremy Corbyn. Greens in the Scottish parliament have played a different role, but the electoral system here makes the threat to the SNP much more substantial. And the parliamentary arithmetic means that the SNP often rely on Greens, particularly since the polarisation around independence meant that the Tories couldn’t do deals with them so easily any more. Secondly, there is Corbyn. Having popularised a form of progressive politics, Greens have seen it taken up by the new leadership of the Labour party whose ability to appeal to the Scottish electorate was reinvigorated between 2015 and 2017. The Labour manifesto with its full blooded call for removal of the market from areas such as transport and energy had an appeal in a way that a centrist SNP manifesto did not. The SNP has responded to this with a move into this territory. Thirdly, the yes movement itself. The yes movement, having thrown off the shackles imposed by the official Yes Campaign (that it be a marketing and voter contact operation) became a lively and energetic manifestation of new politics. Where the Yes Scotland proposition that things would just be better if Scotland ran its own affairs was overshadowed and eclipsed by the more ideological character of the RIC. I want to draw an analogy here from a military context – I don’t mean this to imply that an armed struggle is appropriate in this context, however. In the Zimbabwean liberation struggle – the Chimurenga – there were two principle liberation forces – the Chinese backed ZANLA and the Soviet-backed ZIPRA. Where ZANLA understood that the conflict was asymmetrical, ZIPRA sought to match the Rhodesian armed forces for firepower. Whereas ZANLA used the advantages offered by their integration with local populations to much more effectively bleed the Rhodesian forces dry. Over the past 30 years, the left has sought to engage its ideological opponents on territory that favoured the right. The Independence Movement is the first time in a long time that we’ve engaged them on territory that favours us. This, of course, created a set of lessons that have been learnt by the SNP, by the Corbyn campaign, and even in the US by the Sanders campaign, all to much greater effect than would previously have been possible. There’s been a deep trauma for political parties as we re-enter an age of political ideology – the world really is struggling to be born. So, the question now for us is – how can we be handmaidens of that new world. It didn’t look like we were being very successful in this before the summer. But things change! So far we’ve mobilised a movement around the proposition that “Another Scotland is Possible”. That movement has been energised by policy positions, but there’s a fundamental question about the changes that will be required to the structure of society and the economy. We have to ask ourselves what the prefigurative steps are that we need to take to get to that ‘another world’. Things like the Tredegar Medical Aid Society – prefigure the NHS. How do we prefigure the changes we need in housing, governance, in our communities? How do we build the movements to make those real? Given that we’ve been very successful in achieving our policy objectives up to now, we need to identify how we relate the prefigurative demands are, and how we get those adopted. We need to have a plan for what happens if the deep crisis of capitalism plunges not into another spate of difficulties but goes into a terminal decline. Especially if that terminal decline is very rapid, as it may well be. That’s the day job we need to be getting on with. And we will set about it with relish. I was asked recently to contribute a piece on ‘where now for the left in Scotland and Britain’, for the 100th edition of Scottish Left Review. My contribution initially appeared in the magazine and online here, and is reproduced below. As time goes on it becomes clear that the 2008 crash was the end of an old world, yet a new world is struggling to be born. To paraphrase Gramsci, now is most certainly the time of monsters. The situation in the UK is an exemplar of a global situation where neoliberalism has died and cannot yet be replaced. Rather than the world being haunted by a spectre, we are lumbered by a corpse of a dead economic system. But this corpse cannot yet be buried because the alternatives have not yet emerged in a coherent way. This has produced reactions of the right: most notably Trump and Theresa May; of the left: Sanders, Corbyn and Melenchon; and even from the centre: Macron. All have one thing in common: their reference points are in a revival of Les Trente Glorieuses or “The Glorious Thirty”; the three decades of economic prosperity and improved social security following World War II. We cannot see British or Scottish politics outside of this context. And we must also remember that this crisis is not just a crisis of finance or of politics: it is a crisis of resources and the environment. Climate change threatens our very existence, but technology is beginning to point the direction to a world of low carbon energy generated by locally owned installations rather by corporations. The first industrial revolution was driven by a shift from local power sources (water mills and wood burning) to energy from centralised sources and fossil fuels. The capitalist age is the fossil fuel age, and the fossil fuel age is the capitalist age. The independence referendum in 2014 was one of the first cracks in the hegemony of carbon-fuelled neoliberalism. Through that crack, the light got in, inspiring the Corbyn movement and a new bravery in British politics. But this crack has been papered over with a continuity politics of managerialism. The General Election result sits in a context of deep crisis for the British establishment and elites still unable to find a response to the financial crisis of 2008. They have tried continuity managerialism of Gordon Brown; they have tried austerity; they have tried Brexit. And having tried to crush the Labour Party with the opportunistic General Election, they have run out of options. The depth of political crisis that followed the financial crash of 2008 is in part due to the failed invasion of Iraq in 2003. The War was always obviously morally wrong, but the inability of the British and American states to successfully stabilise the country after the invasion prefigures Brexit: a project of the British Imperial elite intended to restore the country’s greatness, but one that instead exposes the lack of strategic, diplomatic and planning capacity of that elite. In Scotland, the SNP’s response to the Independence movement and the mandates given to them by subsequent elections has failed to capitalise on the political energy behind the social movement. In the days after the referendum, Women for Independence ran a successful campaign to prevent the Scottish Government placing a women’s prison at Greenock: the prison was the wrong thing to do. And the Independence movement was able to work with Scottish Government to deliver a better outcome. This movement approach to politics showed the world we could have. Corbyn’s surprise performance in the election was powered by movement politics. These movements, like the Stop the War movement, have politicised people bringing together political analyses and democratising our politics. The surprise (relative) success of Labour is down to harnessing the power of movement politics. Placed against this are Tory demands that we stop talking about politics and “get on with the day job”. This successfully mobilises the anti-political emotions of the privileged. The answer, of course, is to reinvigorate the movement politics of 2014. There are plenty of issues where this approach is more needed than ever: housing has been an issue of increased significance for some time, but the Grenfell disaster puts this into sharp focus. A movement must make the case for new collectively managed housing. The private rented sector has failed a whole generation. We must find ways to bring democracy to more of our institutions. People have the ability to be much more engaged in decision making and a centralised state designed to control an empire has long outlived its usefulness. And in so many other areas of our lives, from social security and workers’ rights to harnessing for good the care and creativity of our people, movement politics show us the way. The new world that must be born will be prefigured by the movements for social and environmental justice. We can, and must, learn from the Upper Clyde Shipbuilders work-in in 1971, from those who refused to fix bomber-plane engines destined for Pinochet’s Chile, from those who developed the Lucas Plan in 1976. Very much like the Independence movement of 2014, these people-led social justice movements, show us the way forward: they show us how to democratise our power structures and our economy. In Scotland we need to re-engage our people and recapture the energy to make the case for a better world. But this cannot and should not stop at our borders, nor indeed the borders of the UK. The new world that will be born must share the benefits of the economy with people everywhere. This evening, I had the honour of introducing the Ailsa McKay Memorial Lecture 2017, the second such lecture, hosted by the Women in Scotland’s Economy Research Centre, in the Govan Mbeki Building at Glasgow Caledonian University. This is what I said. Good evening everyone. I am Maggie Chapman, Co-convener of the Scottish Greens, and it is my great pleasure, and a great honour to welcome you all here today to the 2nd annual Ailsa McKay Memorial Lecture. Our speaker this evening, Philippe Van Parijs, is Professor at the Faculty of Economic, Social and Political Sciences of the Université catholique de Louvain, where he has directed the Hoover Chair of economic and social ethics since 1991. Philippe’s work has taken him all over the world, and he is widely known and respected as a key proponent and defender of ideas such as the Basic Income. Welcome Philippe. Welcome to Scotland, to Glasgow, and to this university. Glasgow Caledonian University, Glasgow Caley to many of us, saw fit, in 2001, to name this building after a hero of the anti-apartheid movement in South Africa. As a South African, albeit one who grew up in Zimbabwe, I am always pleased to have an excuse to talk about the struggle heroes who have influenced my thinking and my politics. Govan Mbeki was a leader of the ANC and of the South African Communist Party. Following the Rivonia Trial, he, along with Nelson Mandela, Ahmed Kathrada, Walter Sisulu, and several other eminent anti-apartheid leaders, was imprisoned on charges of terrorism and treason, and he spent 23 years in jail. Later, after his release and after the first democratic elections in South Africa, he served in the Senate and its successor (the National Council of Provinces) from 1994-1999. Mbeki was a man who devoted his life to fighting the great social and economic inequalities produced by apartheid. He and his fellow revolutionaries, amongst them Joe Slovo, talked and wrote much about South Africa’s future freedom, what it would look like, and how social justice and equality could be delivered. Slovo suggested that South Africa required a two-stage revolution: first, a popular movement to overthrow apartheid, and second, an economic revolution to share the fruits of the economy for all. In Scotland, like elsewhere, including South Africa to some degree – it was, of course, the first country to have equal marriage written into its constitution – we have made significant progress on social equality, on issues like promoting women’s rights, and combating homophobia and racism. There is plenty of work still to be done on these, undoubtedly, but much of the inequality that remains is economic. We have not been successful in taking the revolution into that second stage – economic equality. Ideas like a Citizens Income, or Basic Income, will, I am sure, be part of the solution to the issues that remain. I remember being at a conference about another heterodox economic theory, Land Value Tax, where one of the speakers said he opposed Basic Income because it would be unearned. We have a strange differentiation in our economy between what is traditionally seen as unearned income (things like inherited wealth and dividends) and unpaid work, which, as we know, is mostly done by women. 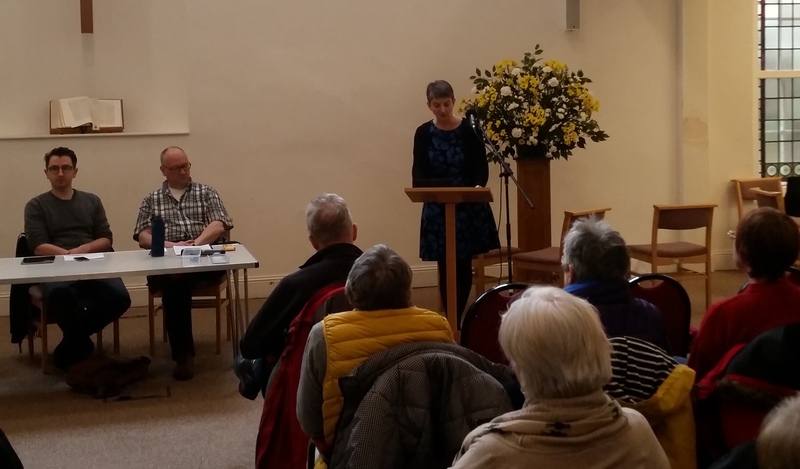 It is this unpaid work – the things that make us most profoundly human – caring and creating – that Ailsa was so rightly concerned with in her work on developing proposals such as the Citizen’s Basic Income, on gender budgeting, and so much more. Ailsa, perhaps more than anyone else, made it very clear that our economic revolution has to be on gender terms as well as resource terms: we must value that very human work, caring and creating, properly if we are to achieve economic equality. Ailsa was perhaps a surprising academic. She left school at the age of 17 and started working at the Department of Social Security. One of her jobs was to assess emergency payments for people on benefits, and she was well known amongst claimants for trusting their assessment of their own hardship and authorising their payments without question … something ATOS could learn from, perhaps. It was during her time at the Department of Social Security that she became most interested in the idea of the Citizen’s Basic Income. She understood the profound error of viewing the economy as a flow of capital rather than a way to ensure the wellbeing of people. She went back to education in 1981, determined to put herself to work developing ideas that would promote such an economy. In her postgraduate studies that led to her PhD, she drew extensively on the Philippe’s work on Basic Income, and became known as the person to talk to about gender economics. She established the Women in Scotland’s Economy Research Centre here in 2010, and was a founding member of the Scottish Women’s Budget Group. It is in no small way down to Ailsa that, in Scotland, our approach to the global financial crisis of 2008 has been much better that the UK Government’s “if it moves, cut it, if it doesn’t move, cut it” approach. But too often, still, we prioritise physical infrastructure over social infrastructure. The Christie Commission rightly pointed to prevention as the key to providing public services in the 21st century, but the logical follow through to this – that we create a society where work looking after people and creating is properly valued – is far from finished. I am very much looking forward to hearing what Philippe has to say to us this evening. His work across the economic, social and political sciences has been influential to many of us in so many different ways. It has been central to a number of arguments around Basic Income, something very close to my heart: we greens are the only political party that has a Citizens Income in our policy documents. In the social-democratic tradition, Philippe has argued that the right to an income does not interfere with the right to a job, but in fact strengthens it. Similarly, Basic Income does not replace the welfare state; rather it makes it more important, and it reduces the threats to social security. And, most importantly, it forms what he calls ‘the third model’, different to the old social assistance model – charity – and the social insurance model – solidarity. Philippe’s argument for a more egalitarian, more emancipatory perspective was heralded by Ailsa in her work and her desire to be part of a socially just and equal society. I am sure everyone here today would wish to join me in creating that society – a society that truly commemorates the work of Ailsa McKay. And what we hear from Philippe this evening will, I’m sure, better enable us to create that society. Welcome Philippe. And thank you. In just 7 days, Scotland will go to the polls to elect the councillors that will be responsible for delivering local services over the next 5 years. Last night, I participated in a discussion about local democracy, its challenges and opportunities, organised by RIC Edinburgh. I opened the discussion with these words. Good evening everyone, and thank you very much for inviting me to participate in this discussion this evening. It’s a joy and an honour to be with you all, and I very much look forward to listening to your thoughts and ideas after Brian and I have said a few words. I have said, often, that I want our politics to be about more than elections, more than putting an ‘x’ or a number in a box on a ballot paper on a Thursday in May (or June), and certainly more than political parties (I’m not going to talk much about political parties, but perhaps we can in discussion later on?). I want our politics to be embedded, consciously, in the everyday, to have citizens across the country who have power over their own lives and the decisions that affect them, to have communities who thrive because they have the resources and support they need to do so. And this means a radically different approach to democracy. It is clear that, with Westminster politics in its current shambolic state, with a megalomaniac but weak prime minister and a leader of the opposition who does not have the support of his party behind him, and therefore cannot challenge the government effectively, we are inhabiting a sham democracy. I do not believe that we have a functioning democracy in the UK. And what is my evidence for this? Well, where to begin? Firstly, Scotland and Northern Ireland voted to remain part of the EU, and yet the PM is determined to ignore our wishes, and has refused to engage either country in any meaningful discussion, despite the repercussions for the Good Friday Agreement or further devolution for Scotland. Secondly, Scotland voted to remain part of the UK on the promise of continued EU membership and increased prosperity, and yet the poverty gap is increasing, and, well, the mess that is Brexit speaks for itself. Thirdly, and this shows that the lack of democracy is not very recent, despite the fact that a million people marched against the Iraq war 14 years ago, and there was no evidence that WMDs were ready to launch, Blair took us into a war that made the destabilisation of the Middle East inevitable. And in Scotland, and at local government level, there is also plenty of evidence that our democracy is broken. As Lesley Riddoch and others have documented very clearly, Scotland has the least local local democracy in Europe. It is not local. It is overly centralised. And the Scottish Government over the last few years has done little to give local government anything like the new lease of life it needs. Freezing the Council Tax rather than reforming local taxation meant cuts to services and alienation of communities. There has been virtually no interest beyond communities and the Scottish Greens to give communities third party right of appeal in planning decisions. The plans to take power away from Education Authorities and hand it to Head Teachers instead indicate a worrying trend away from democratic oversight and control. So, we have our work cut out for us. The only way to deal with the undemocratic, perhaps even anti-democratic forces operating at Westminster and to a lesser extent at Holyrood, is to rethink local democracy. And the left must play a fundamental part in this. It won’t be easy, however. It is clear that, whilst all that I have described so far has been happening, the left, in Scotland and beyond, has not been able to intervene in ways that lead to the kinds of transformations required. For a long time, I think, the left has mistaken centralisation for solidarity. One thing we need to understand is that governing ourselves collectively is perhaps the most fundamental principle of the left. So we need to seek ways in which we can act collectively without centralising, we need to identify opportunities to educate our communities about the mechanisms of local democracy, and we need to resist the knee-jerk reaction that it is all too difficult, or that there is something more important going on. We know that the instinct in many politicians (both left and right) is to take power off people, and that this drives the population to the right. When we’ve argued for a radically different type of democracy, the response often is that there is something more important happening nationally, or some other crisis too great to allow ourselves to be side-tracked. In the Greens, we’ve faced this dilemma before. When talking about climate change, there have been those who have argued that the crisis posed by climate change is too great to allow ourselves to be distracted by talk of giving power to communities, or campaigning for decent jobs. But there is ample evidence that those people who have done best at tackling climate change are also those who have been able to take control over their own lives. If we look at the island of Eigg, some people argued against the community buy out because, obviously, the community would use their newfound power to strip the island of its assets. Instead, we know that the community has gone from strength to strength, tackling not only climate change issues, but also creating local job security, community solidarity, and so much more. So, for those of us who want a local democracy that is truly local and democratic, but also supported and resourced properly? The first thing I think is that we need to find whatever ways we can to include people. With the local elections next week, we can start by focussing on the things that our councils control. We must demand participatory democracy: things like participatory budgeting (like Leith Decides), participatory planning (not just the planning system, but wider planning about all aspects of education planning, health and social care planning, and so much more). We must also embrace technology: we must make better use of online tools, not just to communicate, but for decision making too. There are lots of people for whom the old model of daytime or evening meetings is not inclusive. It a process or system excludes, then it does not serve democracy. Including people in decision-making not only gives them a real stake in those decisions, it also benefits transparency and accountability. It involves people in delivering the social justice outcomes we want to see, but also shows them what resources are available, and that there really is money for genuine social security, for decent public services. It will also make false economies much harder to implement: the idea that cutting a meals on wheels service will save money will be seen for the lunacy it is: not only is it inhumane, it will also mean that people will end up in hospital, malnourished and unwell. So, with 8 days to go before the local elections, what can we do. We need to look for a genuine intention to devolve power from councils to communities – things like citizens’ assemblies to determine voting behaviour of councillors, for example. We need to call for more transparency so that participation in decisions is possible. We must work with others to build decision making into our everyday life, supporting housing cooperatives, consumer cooperatives, and so on. We can identify specific campaigns that magnify the benefits of local democratic engagement, such as calling for council and other public sector divestment from arms and fossil fuels, and demanding a better kind of settlement for local government from national government. Using the very poor attempt at local democracy we have next week to these ends is only the beginning. We do need a radically different relationship between different levels of government, nevermind more genuine local government. We also need improved participation, engagement and transparency in all aspects of public sector governance and structures. And an element of this must be genuine inclusion of people so often marginalised by politics: women, people of colour, disabled people, people from the LGBTQI+ communities, and so on. So, we’ve got a lot of work to do, especially given what will be happening on 8th June. If we allow Westminster politics to dominate our discussions, without using this as an opportunity to talk about a different kind of politics, about doing politics differently, we will not be doing our jobs as citizens of a better world. I firmly believe the politics of Westminster, not to mention its electoral system, belong in the history books, not in the politics of a forward looking and open democracy. The denial of a vote to 16 and 17 year olds is a disgrace. The calling of a snap election is about the wielding of power over people rather than the sharing of power with people. But we cannot afford to be defeated in our quest for something better. I know a better Scotland is what motivates many of you here this evening. And I look forward to joining you all out on the streets, in our communities, at our bus stops, in our shops, talking, sharing, doing politics … the kind of politics that we want and deserve. I have said, often, that I want our politics to be about more than elections, more than putting an ‘x’ or a number in a box every May, and certainly more than political parties. I want our politics to be embedded, consciously, in the everyday, to have citizens across the country who have power over their own lives and the decisions that affect them, to have communities who thrive because they have the resources and support they need to do so. Today’s events have made it more difficult to make this ideal a reality. A General Election in June, just 5 weeks after the local elections, will not only shift the focus away from local democracy (which already does not get the attention or focus it needs! ), but it will also reduce the opportunities for doing politics differently … again. The electoral system for Westminster belongs in the history books, not in the politics of a forward looking and open democracy. The context for GE17 – Brexit, Scotland’s future, and so much more – means that it will be very difficult to have a mature discussion about the future of the UK. And the timing means that there will be little time for genuine voter engagement. So, what is Theresa May up to? It is clear that she has no interest in doing politics differently, that she is willing to wield power over people rather than sharing power with people, and that she really does not care for Scotland. Her decision today is a sign of weakness and desperation. She is vulnerable because Brexit is a mess and she does not seem able to work constructively with others to find a better way through the chaos. The one silver lining that I can see at the moment is that maybe, just maybe, we can use this as the opportunity to focus the political debate away from her unyielding, racist and hate-filled politics. Maybe we can use this as a way to get something better for Scotland, to do something to secure our desire to remain in the EU, to let Scotland’s voice be heard. Maybe. If we’re not all too exhausted.